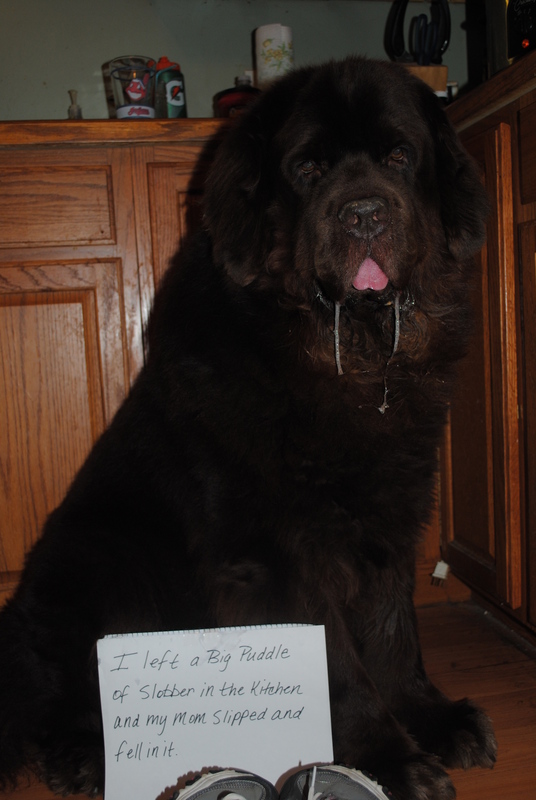 By now most of us are all familiar with Dog Shaming. 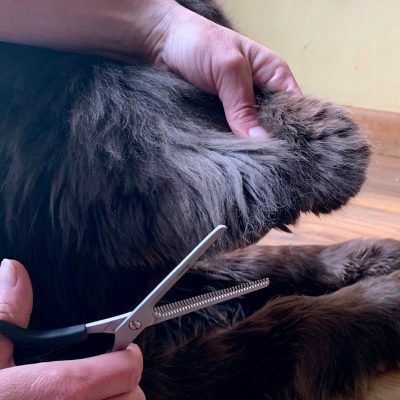 Some of us find it offensive while some of us, like me, find most of it just downright funny when it’s done in good taste and when no dog looks completely mortified. I mean even Sherman and my shoes have even been featured over at the Dog Shaming site and some of you might of even seen an email that has circulated with our submission in it. 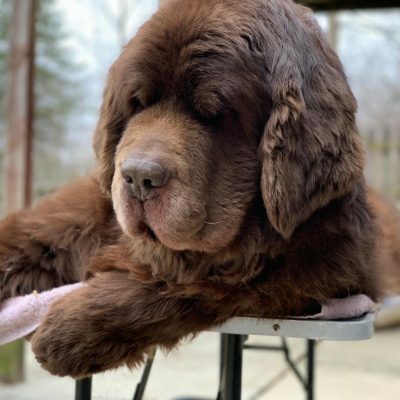 I’ve gotten several of messages from friends and family telling me that they received an email and there was a dog in it that looked just like Sherman and shoes that were very similar to the ones that I wear. Yeah. That’s Sherman and those are my shoes. Not the best picture that I’ve taken and I wish my counters would of been cleaner, but it worked. So anyway, last year my good friend, Jodi at Kol’s Notes sent me an email with a brilliant idea to let the dogs have some fun with this shaming thing and let them turn the tables on us humans and call it Human Shaming. Of course, I loved the idea and so Jodi put her brain to work and created our first ever Human Shaming Blog Hop. It was a blast and we had a lot of people join in the fun and I’m so glad that Jodi decided to do it again this year and ask us if we would like to be apart of it this year too! Of course we would. The boys have lots to shame me with and they only get one chance to do it a year! Jodi did a great post on the details of the hop yesterday so stop by and check it out here. You don’t have to be a blogger to join – we want everyone to get involved! All you need is a social media account with Facebook, Twitter, Google+, Pinterest or an email address! On September 25tth, post your picture to your blog, Facebook, Twitter, Google+ or Pinterest. Come back to Kol’s Notes or My Brown Newfies on September 25th and add your link to the Links list. Hop around and have a giggle at other shameful human moments. Last year was a blast and I hope you’ll think about joining us. In case your looking for ideas you can check out this post, this post, and this post AND my post! p.s. This is all in good fun. Don’t be the person that ruins it for all of us. Keep it clean but funny. p.s.s Check out the new Dog Shaming book that is coming out soon! Sounds like fun, Jen! Hope you are adjusting to your new life! Mom makes fun of us pups all the time, but I don’t know if I would dare to do that with her! Oh my…I will have to think that over! Oh Jen, this was so fun last year!! Thanks for sharing my link, I hope mine is as good this year. It really is great fun! I can’t wait to see what you come up with! The last one was good fun, this will be too. That already gave me the giggles just thinking about it! On a somewhat unrelated note, can you post pics of the two when they were puppies? 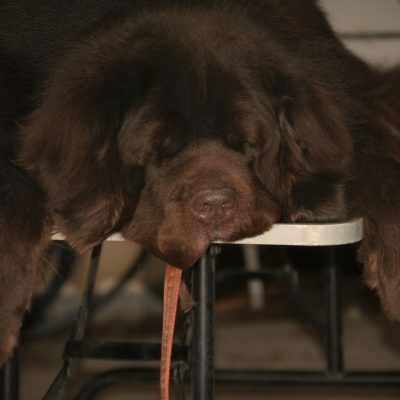 And talk about some of the challenges that comes with having a newfie puppie (for those of us contemplating getting one)? I do post lots of pictures of the boys when they were younger on Fridays on my FB page. I just started doing a Friday Flashback type of thing. Yay looking forward to it!! This sounds like a fun idea. I don’t know why people get so strung out on dog shaming. It isn’t like the dogs really know what is going on. They just know they are getting attention. Dogs may know when they are in trouble, but they don’t understand shame. This is the kind of thing that makes me draw a blank so I don’t know…..If I can think of something funny, I’ll give it a go. Wow! Everyone is talking about this today. It does sound like lots of fun so maybe I will have to shame my ma and enter. Dag nabbit, I don’t even know where to START!!! Ma is always doin’ embarrassin’ stuffs…how do I PICK??! This should be interestin’…..
We remember the fun last year! Oh, yes, this was very fun last year. Will have to see if I can come up with something good for this year. Got it on my calendar.